Travel back in time and ride along with the tumblin' tumbleweeds! Silver Screen Classics is a treasured keepsake from the Golden Age of Hollywood westerns. 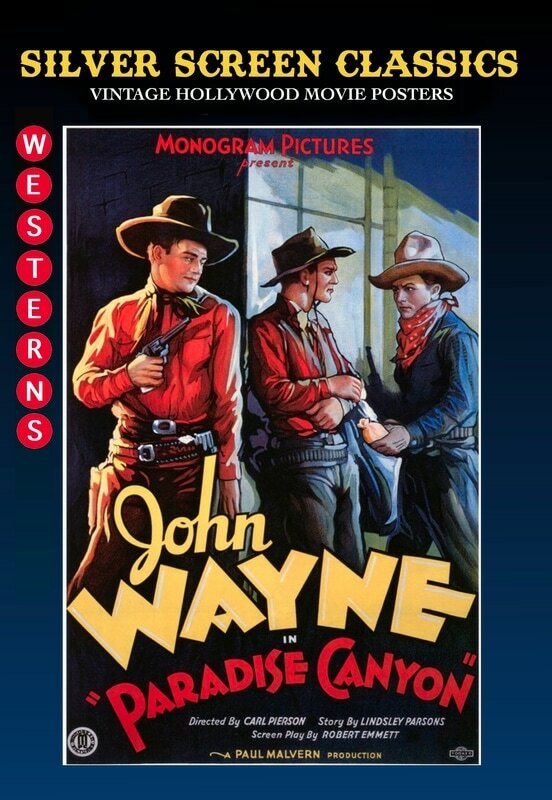 ​Classic vintage cowboy movie posters featuring John Wayne, Tom Nix, Gene Autry, and many more bring the action to life in living color. From the dawn of the 20th century until 1927, when “talkies” first appeared, silent films were all the rage. Fans lined up to experience the fantastic new genre of “moving pictures,” and the world would never be the same. America’s first famous movie stars like Douglas Fairbanks, Mary Pickford, Laurel and Hardy, and many more dazzle the imagination in these rare and masterfully crafted vintage movie posters from the great silent films of Hollywood’s early days.